We have been blessed and are very fortunate to be on the water each day with our clients. If you happen to call during normal business hours and no one answers, please leave us a message. We want your business badly and will contact you back as soon as we get in from our days trips. We also have an Online Reservation System from our website that is simple to use and very secure. We are a large Outfitter and chances are great that we have the day and trip you are looking for. We look forward to talking fishing with you, and getting to spend a day on the water with you! Thank you for your interest in us. We have two locations to serve you best: Gatlinburg, Tennessee and Bryson City, North Carolina! 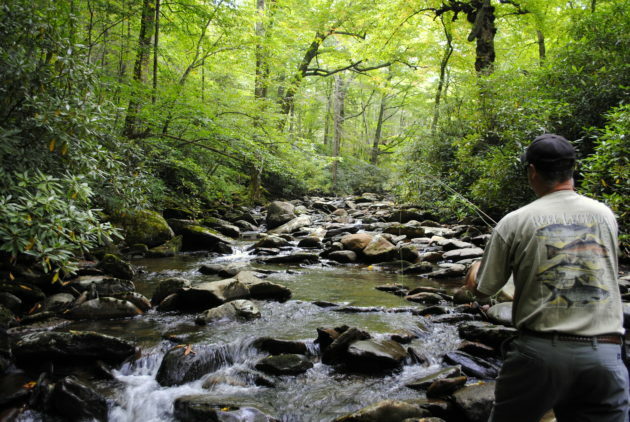 We look forward to Fly Fishing the Smoky Mountains with you!